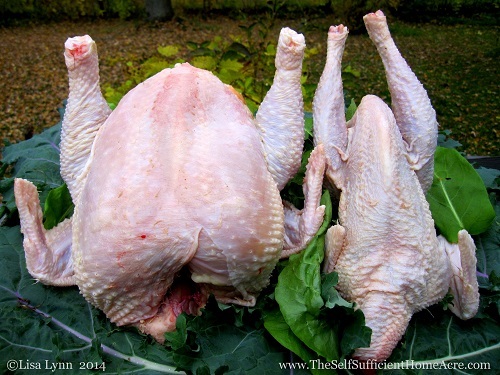 For detailed instructions, check out my article How to Butcher a Chicken. It can be difficult to decide when to cull your older laying hens. Some people like to keep their hens for a few years before culling them from the flock. Other people choose to cull at the onset of the hen’s first molt. Comparison of a Cornish Rock hen to a Production Red stewing hen. When laying hens are around 18 months old, they begin their first molt. This is the process where chickens lose a lot of feathers, then grow new ones. Molting requires the consumption of extra calories and protein and may take 2 1/2 months or more. During this period, the hen will slow down production and then stop laying eggs. Many chicken keepers order replacement pullets 6 months or so ahead of time and cull the older hens when they start their first molt. You may choose to feed your hens through the first molt in anticipation of the larger eggs they will produce in their second year. Keep in mind that although the older hen will lay larger eggs, those eggs will be fewer and farther between with each molt. They will continue to molt approximately once a year for the rest of their lives. Eventually your ‘senior hen’ will cease to produce any eggs. At that point they are pets, pest control, and fertilizer producers. If you wish to keep them for those reasons, be aware that they may live 8 or 10 years when well cared for. 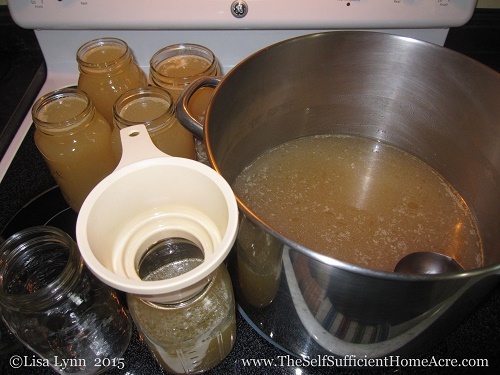 Preparing stock for pressure canning. 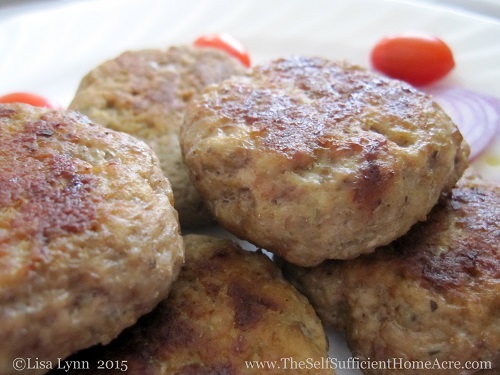 Read my post How to Pressure Can Meat, Poultry, and Fish for more information. Raising your own grain may allow you to save money on your farm fresh eggs. 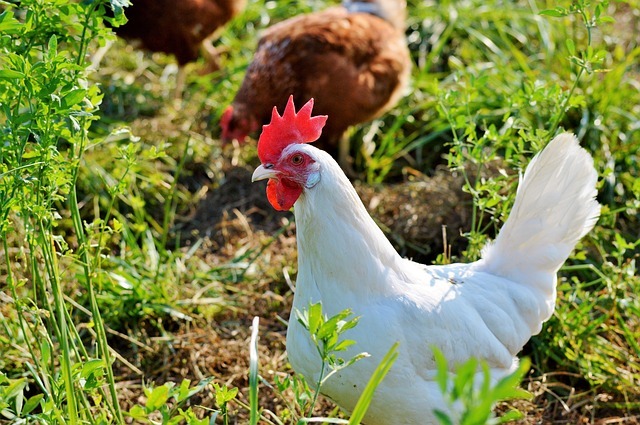 Even if you don’t have room to plant grain, you can reduce the overall cost of keeping chickens in a number of ways. Free ranging or pasturing will allow them to rustle up some of their own grub. You can feed them table scraps and extras from the garden. It also helps a great deal if you cull your hens at the start of their first molt. The meat from each hen is enough for a meal or two. Smaller breeds like the White Leghorn make a nice pot of soup. Some of the dual purpose heritage breeds (such as Plymouth Rocks, Buff Orpingtons, and Rhode Island Reds) should weigh in at 4 pounds or more when dressed. The carcass can be stewed, the meat picked from the bones for a casserole or enchiladas, and then a pot of soup can be made from the broth and small bits of meat. The bones and other bits can be put back in a stock pot with fresh water and a dash of vinegar (to leach calcium from the bones) to make another pot of stock to can or freeze for later. Perhaps you have a mixed flock of laying hens of different ages. It can be tricky to tell who is laying and who isn’t. Of course, the best way to tell is to put each hen into a separate coop or cage and watch to see how many eggs she produces for a few days. You can also watch them all day or set up a special nesting box that allows the hens in, but not out. When you pull them out, you can clip a feather or mark them in some way so you can keep track. You can also look at several physical signs that a hen is in laying condition. The signs include: hens with bright red combs and wattles; a yellow color to their skin and legs; a large, moist, pinkish vent; and a wider space between her hips (looking from the back end and feeling for the hip bones, check to see if they are approximately 3 fingers wide). A hen that shows these signs should be laying eggs. If raising hens for inexpensive eggs is your priority, culling the older hens makes the most sense. This is still a much more humane way of supplying your family with eggs and meat than purchasing from the grocery store. Sylvester asks good questions. My guess would be that you have layers that are from one of the hybrid breeds, such as Production Reds or California Whites…or maybe a productive heritage breed such as White Leghorns. These are breeds that lay exceptionally well for the amount of feed they consume. Any of these breeds should still continue to lay well until they get closer to 18 months of age, when chickens typically start their first molt. The first molt is usually when larger layer operations cull their flock because it isn’t economical to feed them through their molt. There are a number of things that could affect the productivity of your hens. If they have had changes in their feed, or if stress levels are high for some reason, you could see a reduction in the number of eggs collected. At this time of year, the first thing that comes to mind is the reduction in daylight hours, which signals the hen that she should shut down production for the off season. If you haven’t added ‘light hours’ to your barn already, this could very well be the problem. I would suggest that you put lights on timers to turn on for 15 hours per day, starting before daybreak and turning off in the evening. 15 hours of light will help to increase productivity in a young flock such as yours. The light needs to be bright and I would suggest LED bulbs for the low energy input and high light output. You also want to be sure that the whole barn is well lit so that the hens aren’t hiding in the dark spots, which will reduce the effectiveness of your lighting efforts. I have seen an increase in productivity in just a few days after adding light, but it could take a couple of weeks. If you are planning to cull the flock when the first molt starts, you might want to consider adding a second flock that begins to lay as the first flock tapers off in productivity. 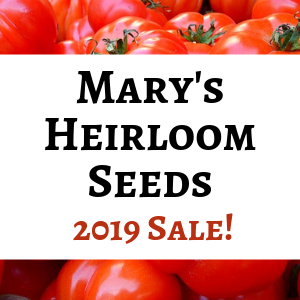 It is rather late in the game to do this now (unless you can buy point of lay pullets), but for you next round, you might want to cosider this. Best wishes! I hope you hens are happy and begin to lay well again. I seem to be suffering from pecking order, several birds are missing feathers in the back ( got rid of the rooster as I was told he was the culprit) still have the same problem. One of the birds missing feathers seems to be picking on another bird with missing feathers. I often see them gang up on these birds jumping on top of them etc. Do I need to cull out one or more to prevent this? They grew up together, but are mixed breeds is that a problem? I have 11 hens 2 with serious feather loss on the back side. Any suggestions??? I would start by applying Blu-Kote to their backs, or blue food coloring as suggested by one of my readers. If they continue picking, you might want to try either putting saddles on them or separating them until the feathers grow back. You’ll need to introduce them properly. Let me know if you need info on Blu-Kote or chicken saddles. I hope this helps! Lisa Lynn always has good suggestions! I’ve had an aggressive feather-picker before and it was more as an expression of dominance over the gentle timid breeds but it can escalate to cannibalism if not halted. What can I say? They’re chickens! We received suggestions to increase protein in the feed, or add a little nutritious salt to feed to discourage feather picking but these just postponed the inevitable – we sadly had to re-home our aggressive dominant bird to another flock where she was the newbie in the flock and couldn’t dominate the established pecking order. Meanwhile if hens have had a massive amount of feathers picked out it would be best to treat if necessary and then isolate them until their feathers grow back and then re-introduce them gradually back into the flock. If a chicken saddle works for you that would be great in lieu of isolation. Isolation is still best if there is a lot of skin or wounds showing. Blu-Kote is messy and stains but is another good method to try. You know your chickens and your situation best to know which of these solutions to incorporate. And there is substance to your question regarding mixing breeds in a flock. We re-homed our dual purpose birds because they tended to be too assertive toward our gentle timid breeds. Mediterranean Class breeds like Leghorns, Anconas, Andalusians, etc etc etc, are good laying birds but can become aggressive toward non-combative gentle breeds. Good luck! I have several hens and for some reason ones of them A sexton hen has started standing on top of her fellow hens when they are laying an egg in the box and pecking at them and clucking very loudly!! Is this part of becoming broody ? Or is she just bossy all of a sudden ? It is common for hens to argue over the nest box. It doesn’t seem to matter how many nest boxes you have either, they all want the same one! If she is going broody, she will sit in the nest box all the time, just getting up to eat, drink and poop. It sounds like she is trying to exert her dominance over the other hens. I wouldn’t worry unless she is causing injuries. If she does, try removing her for a day and then put her back in with the rest. If you only have one nest box, you could try adding more so the less dominant hens can use them. Just to add I have, 2 – 7 years old Leghorns, laying every day – I believe this is due to free ranging and access to good organic nature. They slacked off at age 6 — now back in the swing of things. I have Buff Orientons. They are 2-1/2 yrs old. I have a chicken house that is 2 story. Nest and feed tough in the top floor. Bottom floor is grass and dirt. They have stopped wanting to go in the second story. I even have a light up there. I have checked the second story and can’t find any problems. Only one chicken will lay they have a heated water pan. I feed them 16% mini pellets. Have you checked to see if it gets too warm with the light on? Is it on all day, or just for daylight hours? They might like it better without the light. Hens like to lay their eggs in a secluded spot. Do you mean that just one hen is laying now, or just one will lay in the top story? Let me know if you have any more questions! We’ve changed the economics of culling by not buying chicken feed (or raising our own grain). We have about 100 chickens running free, feeding themselves on 2 acres. We have a couple of big compost piles they have access to, which speeds the composting process for us, and provides ready nutrients for them. Because feeding them costs us nothing, there’s no pressure to cull. By letting them live out their full lives, we end up getting nearly 1000 eggs per chicken (spread out over 10 years), instead of 400-500 spread out over 2 years. And, of course, we get better and healthier soil in the process– our trees have yielded more and tastier fruit each year since we started. That’s awesome! I recently watched a video by the permaculture guru, Geoff Lawton, about using compost to feed your chickens exclusively and I want to try this. I am sure that I will still cull…I like chicken soup. 🙂 But I would be happy to let the hens get a bit older than I do now, if I wasn’t spending so much on feed. Thanks for sharing your experience with us! It is tough to cull older hens. I have three that I will cull in the spring. I normally make either stew or dumplings with them. I can the stew. Thanks for sharing on Rural Wisdom and Know How. Good for you! Thanks for hosting the hop, Gregg~! Had a 2-1/2 year old hen that seemed to cease laying completely. Decided to keep her as a pet for her fertilizer and bug control plus she was just too darn cute to cull. Several egg-less months later she surprised us with eggs again. Good thing we kept her. The first year she layed about 5 eggs/week non-stop, then her last 6 eggs were soft-shelled and she stopped to take several months vacation. Poor thing earned it! She still lays 5-6 eggs per week now but goes broody about every 2-3 months which is ok by me as it gives her a rest from laying. Hens are 80% productive from their prior year of egg laying. They lay 20% less each year but continue laying well into their 5th, 6th and some even up in their 8th year if well-cared for and healthy. We don’t keep hybrid breeds that get spent laying after only two years but keep heritage breeds that are decent layers yet are not exhausted egg machines. Our girls have learned to be watchful and wary of cats and hawks since we aren’t zoned for roos; and keets and geese are too noisy as “watchdogs” in a suburban backyard. Our girls have taken good care of themselves for 3 years without the aid of keets or roos. Besides their regular housing, we built a couple low shelter areas for their security in our open yard. That’s great that you’ve had such good luck with your hen, Sylvester. 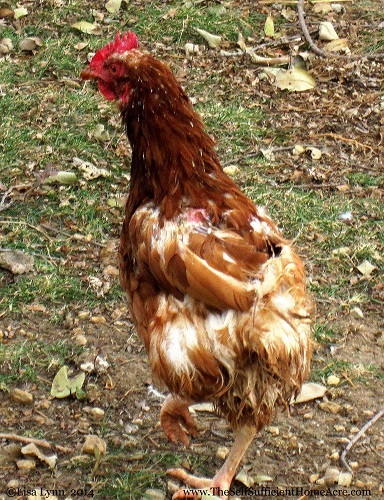 Many people are willing to feed their hens through a molt, especially if they think of them as pets rather than livestock. My grandmother used to do a digital exam on her hens before giving up and taking them to the chopping block. Simply inserted her pinky into the vent to see if she could feel any signs of an egg in there. It’s almost foolproof. Hi!! I am right here, right now, lol. We just got 9 new ladies, who are starting to lay. My older girls are still here, I am just trying to decide what to do with them. I don’t mind butchering them and making stock, but they are prettier than the new ones 🙂 Maybe I should just get some guineas for pets and a little color…. You could cull them a little at a time and maybe order prettier birds for the next round of layers. I would love to have guineas, but I’ve read that they can be mean to chickens and they are hard to keep on your own property. Until I have more space, I’ll have to wait on them. Our new chickens were given to us 🙂 Our older birds are between 1-2 years old, so I might just feed them through a molt and see what happens. I love this site! We will be expanding to meat birds this spring, and will have more room then…. I had guineas a few years ago because I read they were the barnyard watchdog and would alert other poultry to danger and that they were great in eating ticks in the yard (especially deer ticks). We were having raccoon attacks even during the day at that time. It did not work out – the guineas would not come in the coop to roost at night – -preferring fences etc. (where they promptly got picked off by the raccoons themselves!) They made such a racket all day one could never know if there was a genuine alarm or a leaf falling, haha. They did lay a huge nest of eggs (communal) which my Silver Grey Dorking sat on and raised 5 little guineas. They all went either into the stockpot or the auction as a failed experiment. My personal opinion – too noisy! Thanks for sharing your experience with us. I have read that they are noisy, and I’ve heard them too. Although I’ve never had them so I wasn’t sure how true these accounts were. Maybe someday I’ll try them. I’m one of those people who has to try it and find out for myself. 😉 Most likely I will incur the wrath of my hubby if they are too noisy! tried guineas but, aside from being annoyingly noisy, they didn’t have a lot to offer. Much better were red jungle fowl. Roosters are very alert and protective for predators and the breed is excellent for tick control.